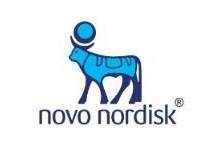 Novo Nordisk is confident that 2019 will be another good business year riding on glucagon-like peptide-1 (GLP-1) receptor agonists, the company said in a news conference Tuesday. Novo Nordisk recorded sales growth of about 5 percent last year, led by the robust performances of GLP-1 receptor agonists such as Victoza (ingredient: liraglutide), Ozempic (ingredient: semaglutide), and Saxenda (ingredient: liraglutide). Victoza and Ozempic are antidiabetic agents, while Sasenda treats obesity. The company’s diabetes treatments accounted for about 81 percent of total sales, followed by hemophilia treatment (9 percent), growth disorder treatment (6 percent), obesity treatment (3 percent) and other products (1 percent). Novo Nordisk lost sales in its diabetes treatment field, including insulin products, and hemophilia treatments in 2018, but the company recovered the losses with sales from Victoza and Ozempic. In particular sales for Saxenda increased 60 percent, contributing significantly to the sales growth of Novo Nordisk. The company also reported a 27 percent growth in the U.S. GLP-1 market with the additional cardiovascular risk reduction indication for Victoza and the launch of Ozempic. Ozempic is an upgraded drug from the once-a-day Victoza. The drug is a long-term treatment that patients can take once a week. Even before its launch, various market research agencies have listed the treatment as one of the new drugs that will receive attention in 2018. Approved in the U.S. in December 2017, the company markets the treatment in 11 foreign markets, including the EU and Canada. However, Novo Nordisk has not launched the treatment in Korea. The company is conducting phase 3a clinical trials in Korea after receiving approval from the local regulatory officials in October of last year. Saxenda is an obesity treatment that uses the same ingredients as Victoza, but has changed dosage to maximize the weight loss effects. The treatment saw strong sale growth in the local obesity market last year. The company has also completed the PIONEER project, a clinical program for oral semaglutide, and is preparing to apply for a license. GLP-1 analog is one of the top priority medications in non-metformin treatment guidelines in the diabetes treatment guidelines and has various advantages such as blood glucose lowering, cardiovascular effect, and weight loss. However, many have pointed out the injection method as its limitation, which explains why there is much attention in the development of an oral agent. The PIONEER program includes PIONEER 1, 5, 6 and 8 studies which compared the treatment to a placebo agent, PIONEER 2 study which examined the medication with the SGLT-2 inhibitor empagliflozin, and the PIONEER 3 and 7 comparing the drug with the DPP-4 inhibitor sitagliptin. The study also comprises PIONEER 4 study comparing the treatment to its existing GLP-1 analog Victoza and the PIONEER9 research, which examined the treatment to Victoza and placebo, as well as the PIONEER10 research that compared the agent with dulaglutide, a GLP-1 analog developed by a different company. Novo Nordisk plans to finalize the application for the approval of the oral version of semaglutide by the first quarter of this year and will apply to the U.S. FDA for expedited review. The company also plans to submit applications in Europe in the first half of this year and plans to do so in Japan afterward. It has yet to have specific discussions about the treatment in Korea.